Skinny jeans that actually flatter? Fabulous! 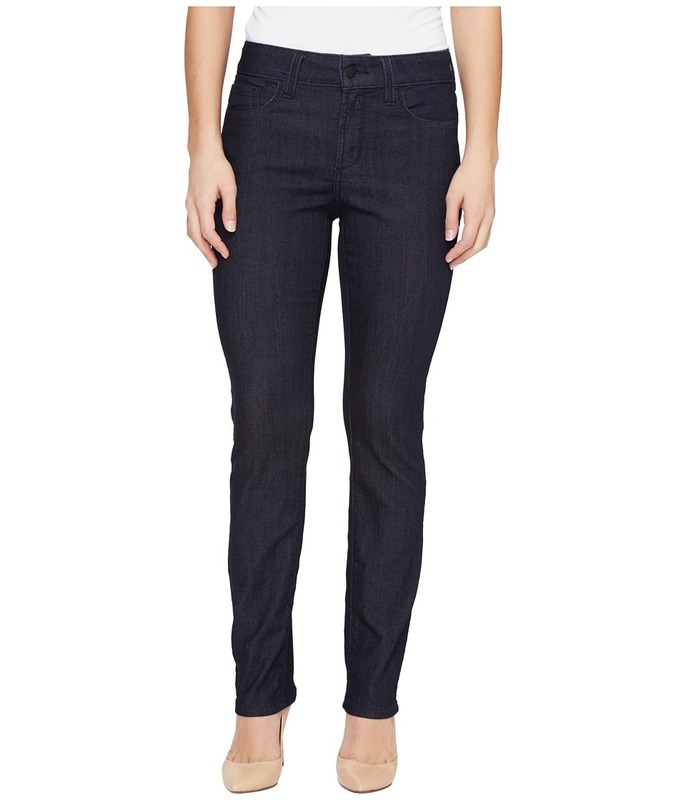 The stretch denim Sheri features a mid rise and slim leg that tapers to a skinny opening. Lift Tuck Technology&amp#8482 lifts and subtly reshapes curves for a luscious silhouette. Revolutionary crisscross front panel trims the tummy. Dark Enzyme is a rich, dark indigo wash on super-soft stretch denim. Classic five-pocket construction. Tonal topstitching. Belt loop waistband. Zipper fly and button closure. 80 percent cotton, 19 percent polyester, 1 percent spandex. Machine wash cold inside out, tumble dry low heat or air dry. Made in the U.S.A. Measurements: Waist Measurement: 28 in Outseam: 38 in Inseam: 28 in Front Rise: 9 in Back Rise: 13 in Leg Opening: 12 in Product measurements were taken using size 4P, inseam 28. Please note that measurements may vary by size.